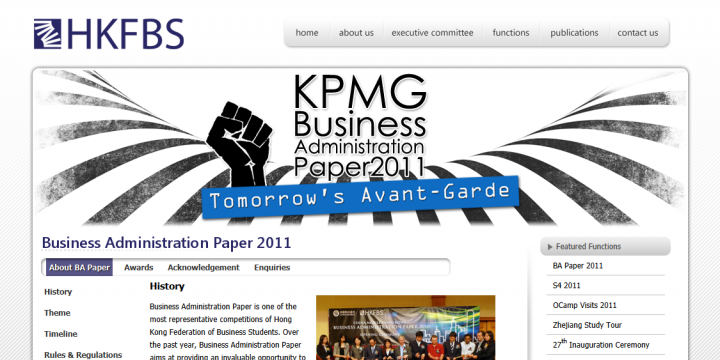 With the animated header of this page, users can know the latest events of the organization at a glance. The header of the website changes as the content. An simple and elegant interface is used throughout the whole website to provide a standardized and structured user experience to end-users. The registration process is designed to be simple and quick. Users are guided along the form with hints appearing on the right of the text boxes at the appropriate time. Registered members can view all their registered activities and the status directly on this page. All the information is controlled dynamically at the backend system. 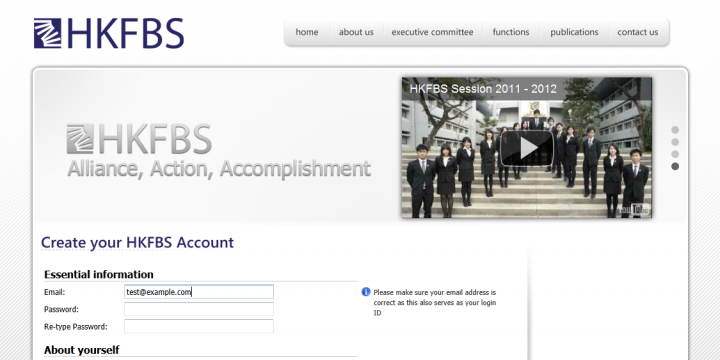 HKFBS, being the largest joint-university business student organization, relies much on online promotion strategies. 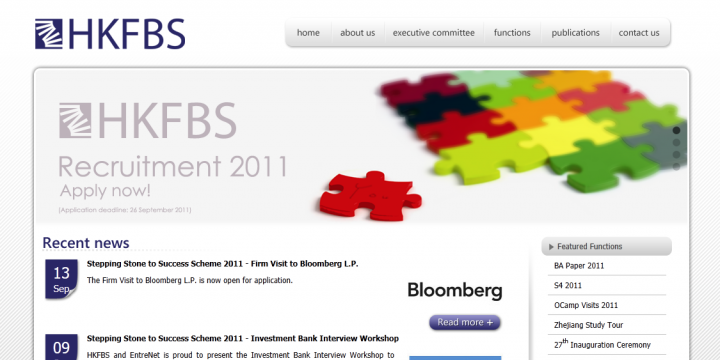 This website serves as the all-in-one online platform for HKFBS and its members. 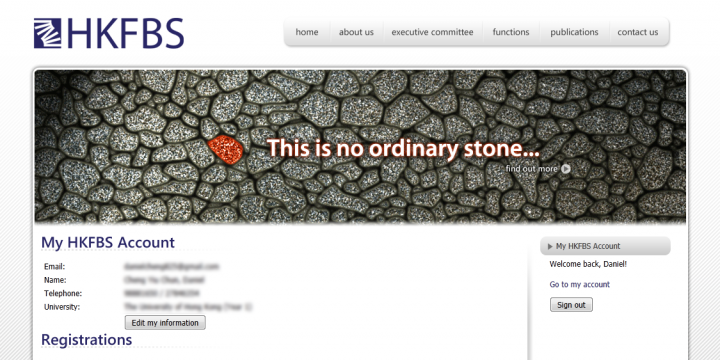 Not only does it introduce the structure, functions and publications of the Federation, it also allows members to apply for functions and events via the online interface.